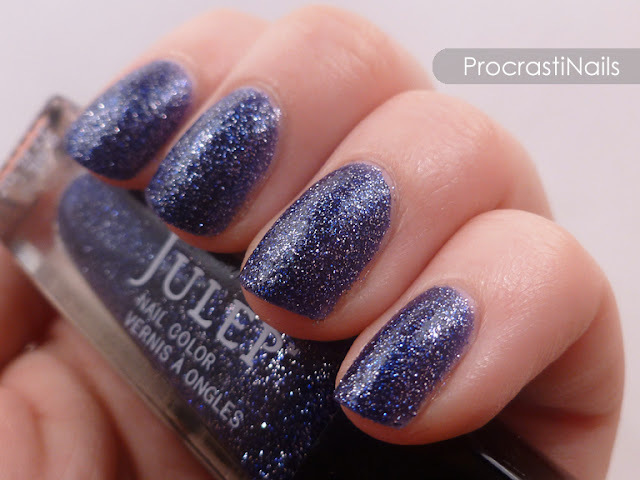 Today we start a series of posts swatching the lovelies I got in the Julep Gem Collection. :) I'm going to be doing these 3 at a time, and you can expect to see about a post a week. Today we have the first three from the cool end of the spectrum: Mary, Jordan and Jasmine. I've decided to swatch everything in this collection without undies, so what you will see is a look at the actual polish as-is in real life. Which so far? Doesn't often match up with what it looks like on the site. So that's interesting. I can't figure out where Mary came from, since there aren't swatches of it anywhere that I can find outside of the Gem Collection. Maybe they made it just for this set? That's my guess, since you also can't buy it individually on the site. 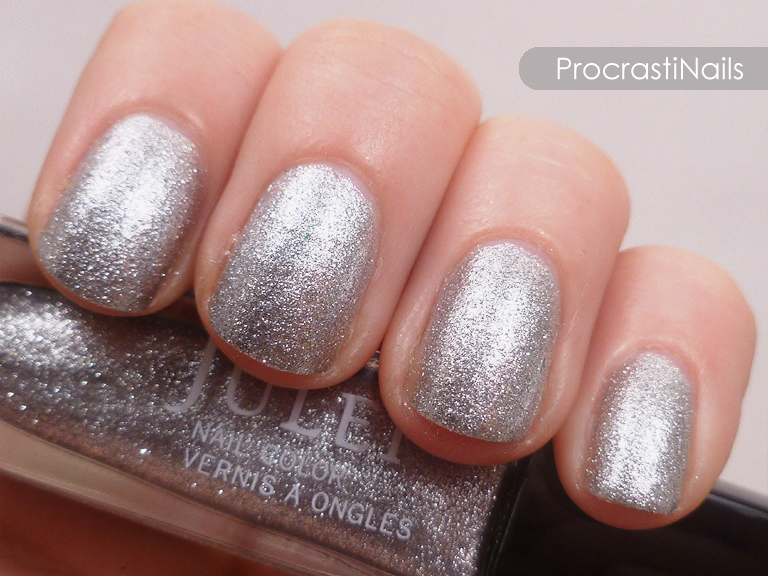 The website says it's an It Girl shade, and it's described as a "full-coverage silver microglitter." 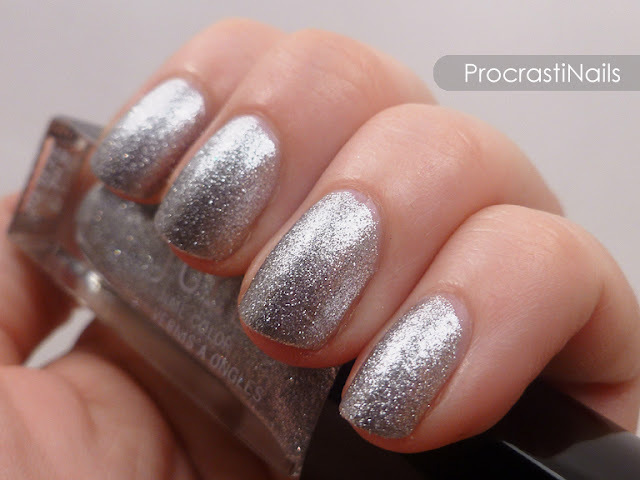 Pictured is 3 coats, but it really only needed two and it went on gorgeously. Perfect to add some sparkle and punch to your outfit for the day, without being overpowering! I haven't tried it yet, but I'm guessing that just like Missy, this will be a good shade for stamping. 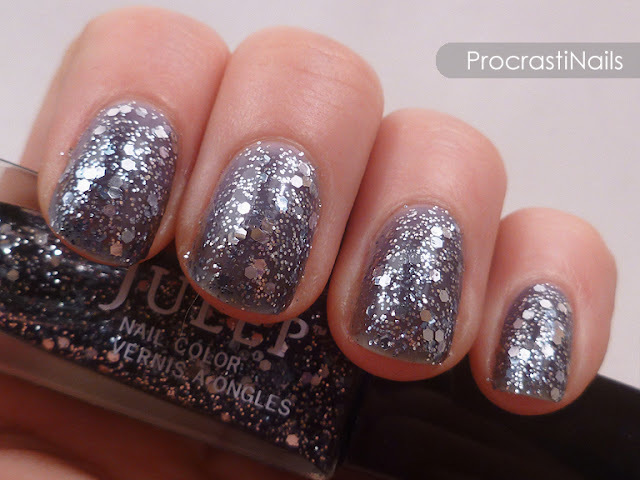 I've included some of my previous swatches of silver Julep shades for comparison below. They're all different from each other, but even so I'm hoping not to see a new silver foil in any of my Julep boxes for a while! Jordan was originally in the December 2012 Boho Glam box. And I'm gonna give you a sec to scroll to the top again to look at the image provided on Julep.com for Jordan. Trust me, just take a look. Did you do it? Good? Yeah, see how this looks NOTHING LIKE THAT? Hahah... Ahhh, man. 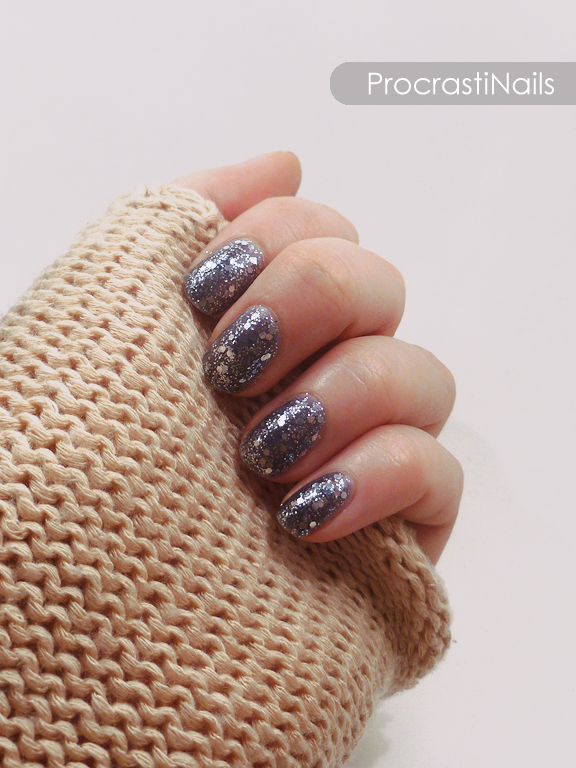 I mean, the base colour might darken to close-ish that shade if I did like 8 coats? But that's not going to happen. So what we have here is 3 coats of Jordan, and even though it looks nothing like it does on the official site (where it's described as a "full-coverage silver gunmetal multidimensional glitter") it's still generally a nice shade. I want to swatch this on top of white sometime to see what it looks like with neutral undies... It's a combo of large and small silver hex glitters in a blueish grey jelly base, so maybe white underneath would bring more of that shade out. This applied okay, though I needed to use pretty thick coats as you can see it's a pretty sheer polish. This is a polish that looks better from a distance, so here's a non-macro shot. As you can see it doesn't look as sheer as it does up close, though it still looks more purple than gunmetal grey to me. Jasmine is another one that doesn't match what's swatched on the site, where it seems to be a deep purple shade (see top of post). However, they do describe it properly in their description, where it's called a "starry night blue with silver microglitter." 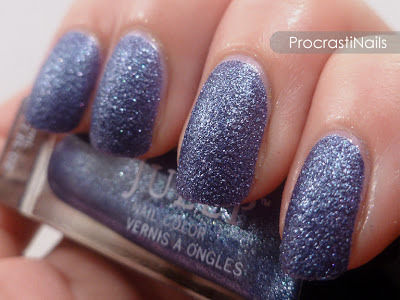 (Why would you call it a starry night blue but then tint your swatch purple? 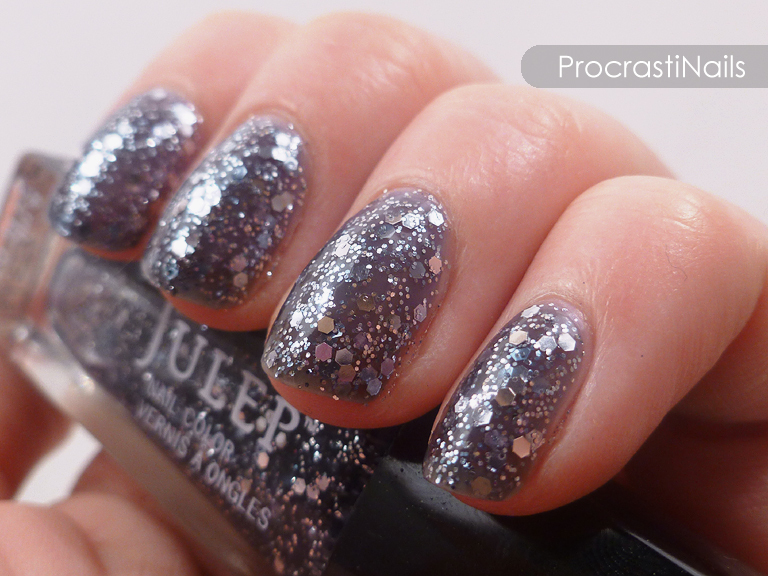 Oh Julep.) This truly does remind me of looking up at a starry night... All of the stars glittering in the sky, displayed on a deep blue background... Gorgeous! Just like Mary it doesn't seem to exist outside of the Gem Collection (where it's listed as a Boho Glam shade) so I guess we can put this down as another (for now) Gem Collection Exclusive! Erroneous website swatches aside, I think this is a lovely shade. 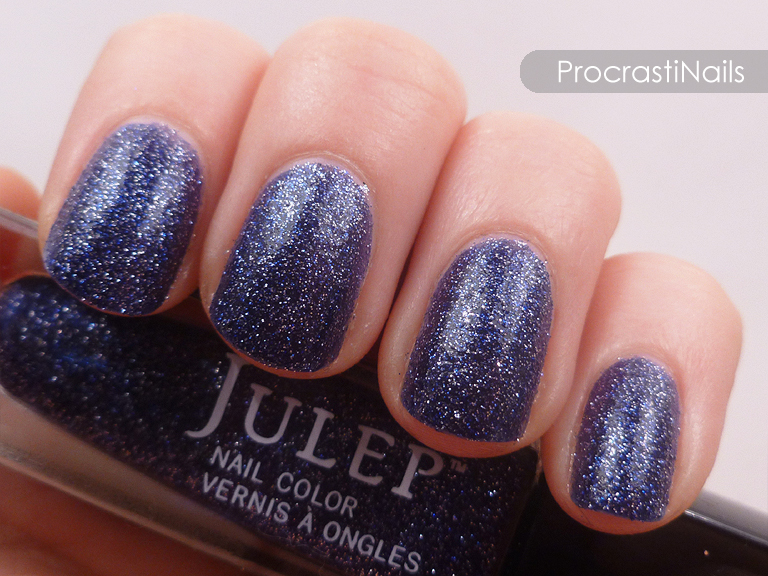 It's like a smoother, deeper shade of Nadia (see below) which is one of my favourite Julep polishes ever. So even though Jordan and Jasmine didn't look like their official swatches, I'm still feeling pretty okay about all three of these polishes. They're all very different from each other! It seems like two of them are exclusive to this collection for now (which is nice!) and I'm looking forward to trying Mary as a stamping polish. 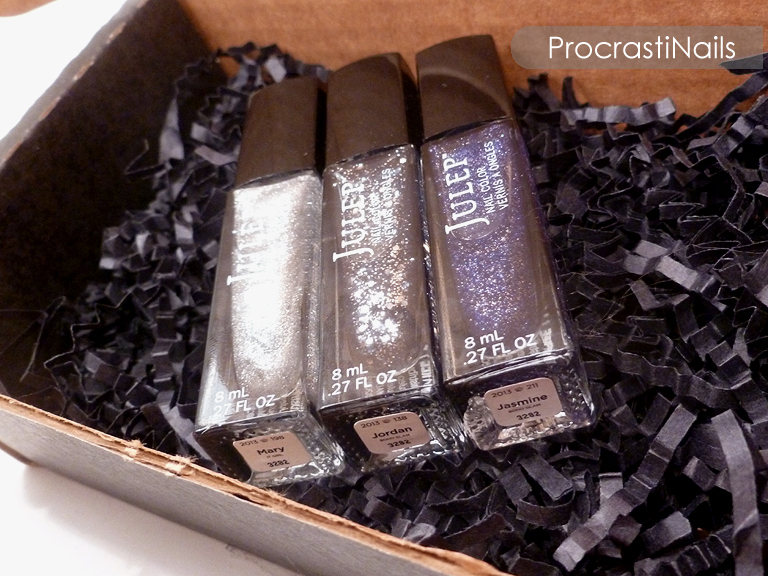 I think if I had to choose favourites, it would be Jasmine, followed by Jordan, with Mary trailing along at the end (just because this is my third silver glitter from Julep). Jordan is available on Julep.com for $14.99 (sale price of $7.99 for Mavens), and since the other two are Gem Collection Exclusives you'll only be able to get them in the full set. The Gem Collection 2013 retails for $168 (current Maven sale price $84.00) and includes 12 glitter polishes. So now. What about you, are any of these jumping out at you as shades you need to have? Which are your favourites? Let me know!! What's with the swatch of Jordan on the website? It's a good think you like chunkier glitters haha I like Mary best of the three. Are you looking to sell Jasmine?